Please see below a selection of some of the local charities, groups and events that we sponsor and support. 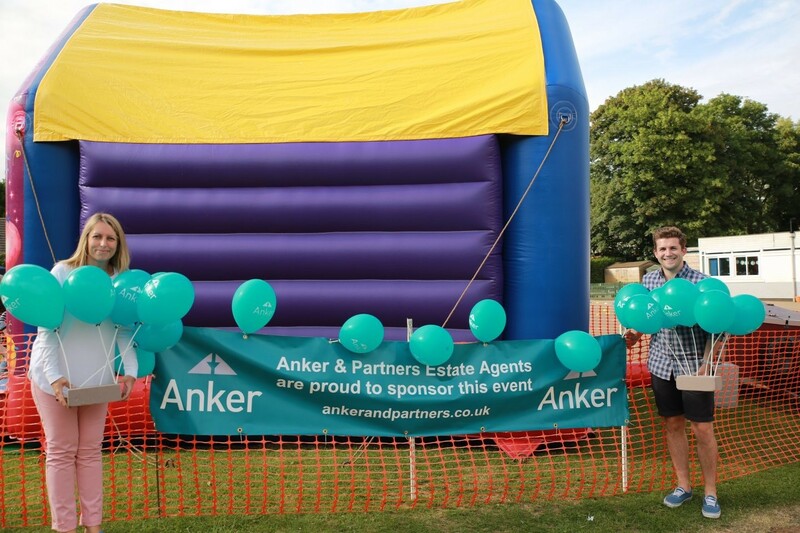 Anker and Partners had a fun filled afternoon as a proud sponsor of this years GrangeFest. Lots of funds were rasied with an amazing £4354 profit all going to childrens resources. Anker & Partners are pleased to sponsor Bodfest 2017 - check out their website for full details. Put the date in your diaries - July 8th 2017. Now in its 5th year, the Sportive starts and finishes in the picturesque grounds of Broughton Castle. All proceeds will be donated to local and rotary charities. Dogs for Good is a wonderful local charity whose assistance dogs carry out life changing work by helping their partners in day to day life on a practical level and as companions. We are delighted to announce that we are supporting them and are proud to introduce our sponsored dog “Howser”. Our lovely Ellie will be Sky Diving to help raise funds for the Blue Cross. "My Aunt is a director for the Blue Cross and I have seen first-hand the amazing work the charity do. I have decided to Sky Dive in order to raise crucial funding that will help allow them to continue rescuing and caring for animals that may have gone unnoticed". Please use the link below if you wish to make a donation. Katharine House is located 4 miles south of Banbury and lies on the borders of Oxfordshire and Northamptonshire amidst beautiful gardens where peace and tranquillity prevail. Sheep and cattle graze in the surrounding fields and there are magnificent rural views across the Oxfordshire countryside. The Hospice building was completed in 1991 and today the specialist palliative care services offered include in-patient, day hospice, community care at home, home night nursing, support for patients at the Horton General hospital, out-patients, lymphoedema treatment and bereavement support. The Hospice building was completed in 1991 and today the specialist palliative care services offered include in patient, day hospice, community care at home, home night nursing, support for patients at the Horton General hospital, out-patients, lymphoedema treatment and bereavement support. Macmillan know how a cancer diagnosis can affect everything. So they are there to support and help cancer patients take back some control in their life. From help with money worries and advice about work, to someone who’ll just be there to listen. High ethical standards in business and professions, the recognition of the worthiness of all useful occupations, and the dignifying by each Rotarians occupation as an opportunity to serve society. Banbury's longest running drama group, Banbury Operatic Society, are an award-winning amateur musical society performing two shows a year, or a show and a concert. We are pleased to work with them in selling their tickets for each performance. The Sharon Green Academy of Theatre and Dance provides opportunities for training and taking exams in all IDTA grades and major classes, training to achieve Dance Diplomas and teaching qualifications in all disciplines and preparation to continue dance performance at a professional level. The school also offers Musical Theatre classes which involve singing, acting and basic movement. We are pleased to help with ticket sales whenever they have a local performance. THE REGION'S MOST GO-AHEAD RUGBY CLUB with teams for Girls, Boys, Ladies and Men aged 5 to 65! Local football Club with teams including Hook Norton FC 1st team, reserve team and under 18s. Annual festivals in each village which receive sponsorship from us. "Anker and Partners were selling the property that my parents purchased. It is a shame that my parents didnâ€™t use Anker and Partners as well to sell their property as their sale was delayed time and time again with what appeared to be very little help from the Estate Agent they did use. Marie Skinner at Ankers worked tirelessly chasing and keeping everyone updated. I believe without her help that this could have gone even longer than it did. She was the ultimate professional and very efficient with good communication. If I were to need to use an Estate Agent again in the future I would go straight to Anker and Partners."